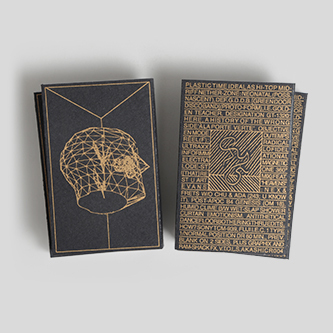 **Golden Teachers first album pressed on C60 tape and housed in a Gold Risograph slipcase. Recorded straight to mono cassette on a Sony TCM-939 in the middle of the room. 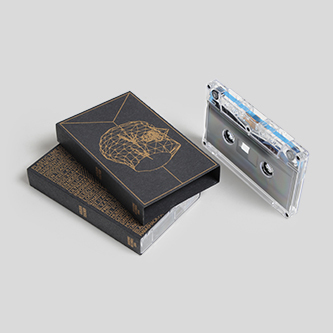 Heavily compressed future music from the past** Glasgow's finest invite us into their Green Door Disco Band sessions with a C60 of early jams and studio outtakes on their Akashic Records label. Like the cosmic spawn of Liquid Liquid and Sun-Ra raised on techno and psychedelic jigs, Golden Teacher make a damn funky racket that could arguably only have emerged from the wide-open minds and dancefloor crucibles of their home city, and perhaps more specifically, the eponymous Green Door studios. 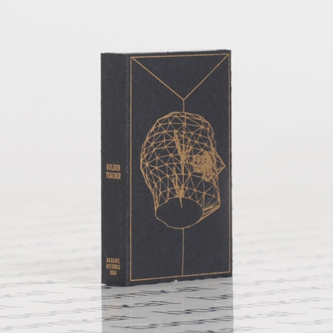 By now, you've no doubt cut rug to one of their records for Optimo in some saucy dive, or even had the luck to catch them live, but fewer have been privy to these raw-as-aught studio sessions, capturing the six-headed battery locked into sprawling dervish grooves that collide into each other with jump-cut edits, flinging a body from purely percussive wriggles to fusioneering prog-disco-jams and techno-lean jag which laid the ground for their first two EPs. As you might imagine, it's a reel hoot.